I felt weird to start with, then relaxed…very curious by the gongs as instruments in itself, how they sound amazing,..then I managed to ‘let go’ of thoughts, emotions and felt it straight in my body, physically at times moving inside me and painful, then also in the lungs area as a release, with sighing, then total bliss, perhaps almost sleeping, then wanting to curl up in foetal position which i did and was cocooned by the sound…an amazing experience. A wonderful evening again – And lovely soup as always, thank you. I had a great night’s sleep and woke refreshed and full of beans. Am working my way through my “to-do” list with energy rather than the usual angst that I won’t get everything done so I think something has worked its way into by subconscious! 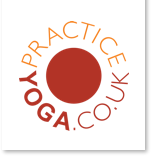 I always return from Sarah and Sue’s yoga retreats feeling reawakened and restored – both physically and mentally. It is clear that they put a lot of effort into planning the retreat to make sure there is the right balance of dynamic yoga practice and opportunities to quieten the mind with breathing and meditation practice. I like the fact that there is a real mix of people and abilities and that Sue and Sarah take care to help people work within their own capabilities. And they will also guide you out of your comfort zone to try new things, if you are up for it.Weekends at Florence House are my opportunities to recharge, learn new things and get my sense of perspective back, sharing a few days with lovely, lively and fun people. What’s not to like?! My first experience of the gong bath! Firstly, the sound was so unusual and seemed to be coming from everywhere. The vibrations went right through my bones in the most delicious way – I must have drifted into slumber and when I stirred I thought I could have been here 5 minutes or 5 hours, who knows! I woke up this morning full of positivity and energy. More please! Whatever the state of my body and mind before Sarah’s class, I always, always feel so much better afterwards. It’s a great mix of posture work, breathing practice and relaxation. Most importantly, I feel seen and attended to no matter how many people are in the class – a rare gift. I want to take the occasion to tell you that I am very grateful to you and yoga. I have been very ill as a teenager and it took me long years to be able to face all the anger, pain and sadness that remained. Yoga taught me how to take care of my body. I am very grateful and want to thank you as I felt and feel safe in your classes to start to face this. Baby Sam was born at 1.44am this morning We managed to have a lovely water birth at home with no pain relief. Sam weighs in at 8Ib 9 and active labour was pretty quick (5 hours). The midwife said to me that I was in my ‘own world’ through the whole of my labour. Being in this place helped me to remain in control but at the same time allow myself to let go and do what my body wanted to do. She also said that she thought my labour was quick because I was relaxed. It helped knowing I was having a home birth, but also from the hours of practice we did in our yoga class and from listening to your relaxation audio at home I found it very easy to switch off from the outside world and just focus on my breath and what was happening to my body. The ability to do this was automatic and I think that it was possible because of the practice we did. Towards the end I upped my breath work to loud humming with my fingers in my ears and my eyes closed during contractions which made me focus my full attention on the noise not the pain. I did this without thinking about it. If we hadn’t practiced these techniques in class I don’t think I would have considered doing that in labour, I also think I would have felt more embarrassed about making loud humming noises in front of people if we hadn’t practiced it together. Thanks for all your support.